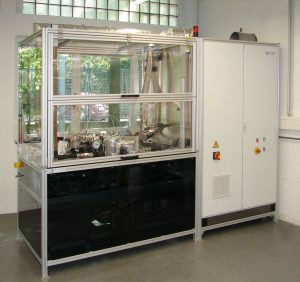 EUtech Scientific Engineering develops test benches for complex and demanding test procedures. Our solutions are based on a modular hardware design and scalable software architecture, allowing us to focus on the specific requirements. Thus we not only solve the problem, but also fit the right solution to our customer. Covering the entire range from turn-key solutions to retrofits and upgrading existing test benches our customer value us as not only as a supplier, but also as a partner. Examples of the industries we serve are the automotive, heat & power generation and the fuel cell industry. 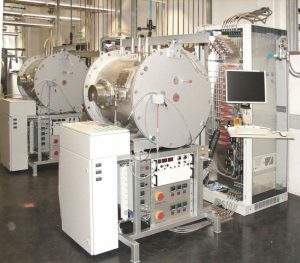 This test bench is designed to characterize ultra high speed electric motors and electrical driven components like e-chargers, e-compressors etc. Based on a standardized test software and control the system includes a modular system platform, fully automatic operation, integrated data management as well as real-time control and analysis. Fuel cells show an exciting and efficient potential of producing electrical power and heat. To date fuel cells have not reached readiness for start of production and still require enormous invest in development and demonstration applications. 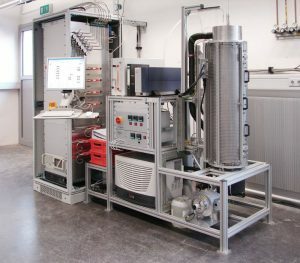 With our test stands for components or complete fuel cell systems or field test simulators for PEM fuel cells, MCFC or SOFC-systems we provide the suitable technology for fuel cell developers and manufactures. Advanced valve technology for automotive air management requires test facilities with precise control of air pressure and flow, wide operating range and fully automated test procedures. The development of eco-friendly pump technologies such as variable oil pumps or electric coolant pumps require extensive tests under all operating conditions. Whether endurance or functional testing, we have got the right solution for various different pump types. Heat exchangers in automotive applications make high demands on the test stand performance. 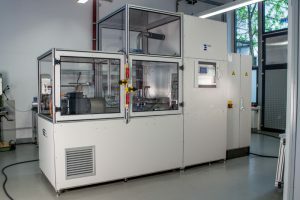 Our test stand technology goes to the extreme: Coolant conditioning from -40 °C up to 140 °C and gas temperatures up to 750 °C, continuously changing from the hot to the cold extreme in long lasting durability tests. Catalysts enable energy efficient conversion of reactants. 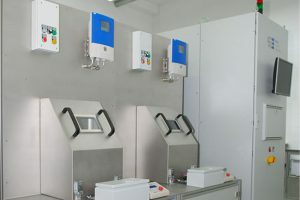 Our test stands allow exact control and monitoring of the reaction through precise gas conditioning, defined temperature profiles and continuous operation. The thermo test cycle stand allows thermal performance testing of pumps and coolers. The temperature range covers -40 °C to +140 °C with high accuracy. The EUtech test stand software ensures flexible modification of test cycles and unattended long-term performance testing. In case of failure the staff is automatically informed by mobile phone alarm. 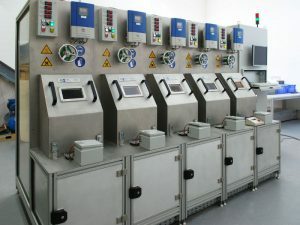 Years of automating test benches enabled us to develop an extensive test bench control software suite. EUteststand is the modular base of our applications where the different libraries can be merged together to fullfill all kinds of automations. Its standard libraries such as the visualization, test cycle editor and alarm handling are found in most of our automation software what creates a consistent usability for our customers and allows us to continuously improve, update and support our features. Working closely together with our customers, we have seen the importance of functional testing where no hydraulics are required. 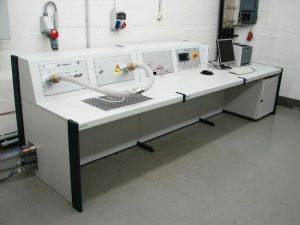 Our solutions are component tester, which pack complete functional test benches onto your desk. The mobile systems include complete test bench functionalities such as automation software with data logging, error handling, test parametrisation and synchronising the calibration and tests across all your company sites. The hardware can also be standard or tailored to your needs, that the systems fit into your existing environment.